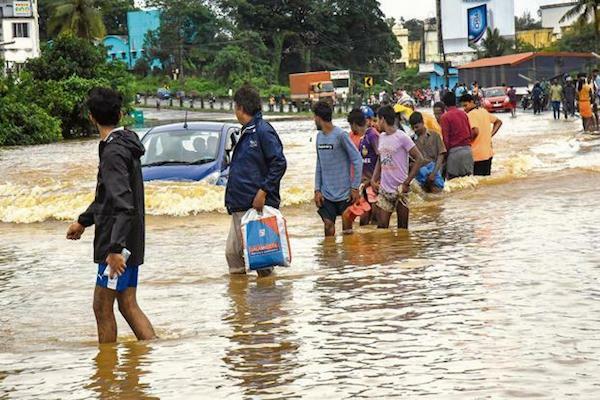 As heavy rains pound Kerala and overflowing rivers inundate most of the state, the increasing number of instances of extreme weather events in India have deepened concerns about the impact of climate change. “Heavy rainfall used to occur in Kerala, but not with such continuity. This time, there has been widespread rain continually for a long time which has not been seen in recent years. However, we have observed that the intensity of daily rainfall is indeed increasing, especially along the western coast and in the north-eastern states,” said Dr D.S. Pai, head, climate prediction group, India Meteorological Department (IMD), Pune. “Our vulnerability to extreme rainfall is increasing as more people are living in low-lying areas and land development is changing drainage patterns. When there is more rain than the soil can absorb, water will quickly run-off overwhelming streams, drains and rivers, and causing flash floods,” said Dr Roxy Matthew Koll from Indian Institute of Tropical Meteorology, Pune, whose recent study in Nature highlighted that the number of extreme rainfall events have gone up by threefold in India. In its recent State of the Climate Report, the U.S.-based National Oceanic and Atmospheric Administration (NOAA) also raised concerns about the number of casualties in India because of extreme rainfall events last year. As many as 800 lives were lost in heavy rain and flood related incidents during the monsoon last year, it noted. “It was expected that extreme weather events would increase because of climate change, and it is happening across the globe. India is more vulnerable because of its wide geographical and demographic variations. This makes it all the more important to strengthen our climate mitigation plans,” said Malti Goel, former advisor, department of science and technology and founder, Climate Change Research Institute, Delhi.